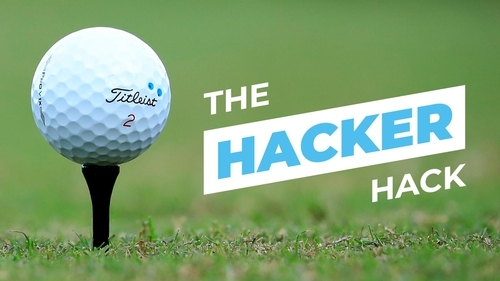 Weekend hacker Eric Haughan is on a mission to transform his game. While the world takes inspiration from Tiger Woods, he is trying hard not to jinx his good winter form. The comeback of all comebacks is on. In other golf news, Tiger Woods won as well. At long last, we are out of hibernation as the traditional start to the golfing season is marked by the US Masters and what a Masters it was. Mind you, we didn't give the clubs much of a break over the relatively mild winter, playing all through November, December and January. In the interests of full disclosure, it must be said (in a whisper) there was even an odd reason to be cheerful on the course as well. Winter conditions can be deceiving, granted - the ground is soft and forgiving, the tees pushed well up and taking advantage of 'placing everywhere' can have us feeling more like Dustin Johnson than Dustin the Turkey. So there you go, no denying it, the ball has most unusually been going in something resembling the intended direction over the past couple of months. This of course has made it even easier than usual for me to convince myself that by season's end I'll be toying with the idea of jacking in the day job and tipping off to European Tour Qualifying School. You know that beautiful, strange and extremely rare feeling you get as a weekend hacker when you look up after your latest effort at swinging the club and to your astonishment, the ball is going exactly where you wanted it to go? Generally we'll mutter something along the lines of "F**king hell, that's actually what I was trying to do!" before gathering ourselves, holding the finish, keeping a straight face and doing our damndest to appear humble as we accept the compliments of our playing partners. No divot has ever been so lovingly replaced as the divot replaced after one of those shots. Well, bizarrely, this has been happening to me a little bit more than usual these past couple of months. Am I in danger, after all these years, of actually getting good at this?! With the competitive season upon us, I took the opportunity to indulge in some intellectual theft and pick the brain of the man tasked with 'fixing me' (no, he's not a vet) as I continue to try work on my stubborn, unshiftable 12 handicap. The man in question, of course, being GUI coaching guru and all-round nice guy, Neil Manchip. We caught up not too long after Neil's star pupil, Shane Lowry, pocketed the Abu Dhabi Championship but, mercifully, just before the Scotsman's adopted county of Mayo had won their first National League title. But we digress... With Mr Manchip, the advice, as always, is sensible and to the point. It has been put to me on occasion that declaring your desire to 'reach single figures' - or any golfing goal, for that matter - is not exactly the done thing in this game. Golf is hard enough, it's argued, without putting that kind of monkey on your back. I've never been flagged as a possible Mensa candidate, granted, so at the end of the day, is it a wise decision to set such a goal or can such lofty ambitions be counter productive? "I wouldn't be against having that goal," says Neil. "But you can just question what happens next when you get to it. "You can have an objective like that - to get to 7 or get to 4 - but nothing comes to an end then. What happens next? You could reach that goal and then become a bit lost. "As long as your longer term goal doesn't take away from playing the next shot as well as you can. Because all we can control is the next shot. Whatever happens in the past, we have no control over." He's not one for getting carried away, is Neil - which is just as well because I'm fantastic at it. How do we stay in control out on the course? "The best professionals, along with all their technical skills, will navigate their way around the course well and take shots that they're comfortable with most of the time," the Scotsman points out. "There's no need to be perfect about anything. Fairways are wide. Greens are big... just being aware of yourself, whatever level you're at. Consistent play comes from playing shots that you're comfortable with. "When we play badly, we tend to be trying to take on shots that don't suit us. Trying to force things or be defensive or second guess our targets and then not committing to our shot. "It's about staying in the present, which is hard to do on every shot - but we don't have to, that's the point. Be aware of yourself when you're drifting off or be aware when you're trying to force things, when you're trying to make up for something that happened before. "We often play our best golf when we least expect it. Have your thought process as clear as you can. Pick shots that suit the course and suit you." Last year, frustratingly, I found I played my best golf when - handicap wise - it didn't matter. In casual rounds, local society outings I was generally in good form - but put me in a counting competition and pars became bogeys; bogeys became double-bogeys and double-bogeys became big numbers. It's proven a challenge to forget about the actual goal of cutting my handicap and instead just go out and let my golf take care of itself. "There's nothing wrong at all with having a goal like a handicap goal or a scoring goal or a winning goal as long as it doesn't interfere with you playing the next shot as well as you can," says Neil. "You can understand how winning or beating somebody or reaching a certain handicap could introduce a certain anxiety which could interfere with you playing the next shot. "If any golfer gives attention to each shot, one at a time, then the end result will be improved scoring and improved handicap... We all play the game because we like hitting the ball, we like being out in the fresh air, we like playing different courses, whatever it is for each individual. "There's nothing wrong with having these goals as long as it doesn't effect what we're doing - playing one shot at a time. "Nobody's coming to slide tackle us. There's nobody there to give us a shoulder. The ball's not moving. The target's not moving. People even stay quiet for us. It's all about how we play each shot. There's no one else affecting the shot, apart from ourselves. "The good news is it doesn't have to be perfect all the time. The hole's a lot bigger than the ball - although it doesn't seem that way sometimes; greens are big; fairways are wide. Nothing needs to be perfect. We get the general idea of what clubs we're hitting each time. And we're not forcing anything - without being defensive or swinging within ourselves. "We're pretty much accepting that wherever the balls goes, I'll find it and, wherever it is, I'll deal with it." The Hacker Hack - 33 & a third!